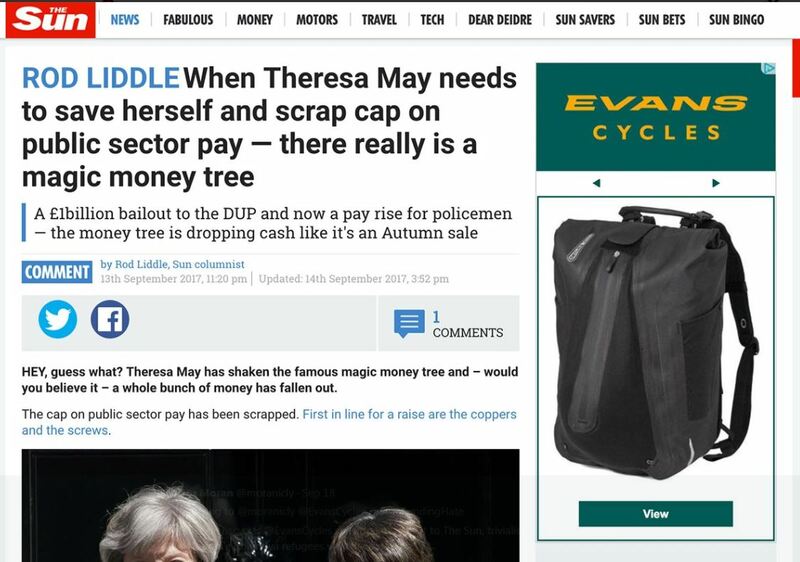 Last week Evans Cycles said it would be adding the Mail, Express and Sun titles to an advertising blacklist because their content went against the company’s core values. Press Gazette editor Dominic Ponsford wrote that he thought the move was an attack on press freedom. Here Press Gazette blogger Agency Provocateur, a UK news agency chief, gives his take on the issue. I’m getting confused, who am I supposed to be boycotting this week? Black cabs? Evans Cycles? Israel? Donald Trump? History is littered with bully boys trying to tell us what we can and can’t read or where we can and can’t shop. The Nazis did it with Jewish businesses before the war. Now we have a new jackboot in town whipping up supporters with a childish impulse to write The S*n with an asterisk or refer to the The Daily Fail. They don’t read the Mail – though I bet they sneak a peek online – and hate The Sun for controlling the country, much like Goebbels said of The Jews, and they see Express front pages on Twitter which make their blood boil. Of course they have a point when they say much of the politics of these papers is hateful and biased. But we all have a choice of whether or not to buy them and don’t want to be told what we can and cannot read. 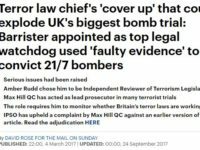 It filters down to agencies who cover court cases or inquests or simply disputes and don’t write what those involved want us to write. If they had a genuine complaint about inaccuracy or misrepresentation, they could come to the National Association of Press Agencies. But they don’t, it’s just they don’t want the story going out so they go on Twitter and get others to support them. Add a trendy hashtag and, bingo, you’ve got a mini campaign. We get called cowboys because we don’t let someone dictate how we should present them in our copy when it then gets used in a national paper. Or we don’t show them our copy in advance – as if they have some kind of right to censor our work. Eventually you end up with the shameful sight of a BBC reporter needing a bodyguard to do her job reporting on a party conference. Advertisers don’t advertise in a particular publication because they agree with its stance on Brexit any more than they advertise in the middle of Britain’s Got Talent because they want the dog to win it. They do it to get their message out to potential customers. But now we have boycotts which effectively mean advertisers are trying to dictate what a paper publishes. These are backed – of course – by Twitter celebs who oppose any clampdown on freedom of speech in countries such as Burma but not so much at home. One or two of them, I notice, have done punditry work for state broadcasters in countries such as Russia and Qatar but complain, without a hint of irony, about media bias in the free press at home. Of course, those who work to close down newspapers – it’s easier and more fun than doing a real job I guess – are regularly asking for donations to keep alive their hate campaigns. Perhaps the best way to stop funding hate is to stop funding Stop Funding Hate. Ignorant. Market freedom and freedom of expression are not the same thing. 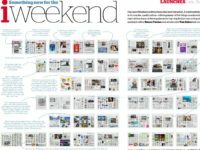 What proof do you have that most journalists are right wing?